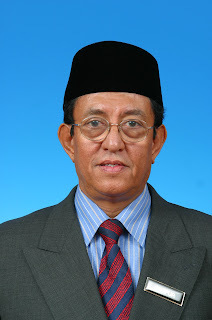 Kalabakan MP Datuk Seri Abdul Gapur Salleh has called on Prime Minister Datuk Seri Abdullah Ahmad Badawi to reshuffle the Cabinet to give Sabahan MPs key ministerial posts by the end of the year. He also asked for an increase of oil royalty from 5% to 20% so that the RM500mil allocation would be increased to RM2bil and a lot of problems could be solved with that fund, he said. "We can solve the problems ourselves with that big chunk of money,'' he said while debating at the Dewan Rakyat on Monday. At the Parliament lobby, when asked whether he would leave Barisan Nasional to join another party, Ghapur said no. “If we can solve the problem from within, why should we look outside?" he said. He also denied meeting with Parti Keadilan Rakyat de factor leader Datuk Seri Anwar Ibrahim. Ghapur, who resigned from the Deputy Natural Resources and Environment Minister post few days after the Cabinet line-up was announced, said it was an insult to Sabahan MPs to be given a total of three ministerial posts while it was Sabah and Sarawak MPs who helped Barisan secure simple majority to win in the recent polls. "They are tasked to look after museum (referring to Datuk Shafie Apdal and technology (referring to Datuk Dr Maximus Ongkili) and one in the Prime Minister's Department (Tan Sri Bernard Dompok). "These are not important Cabinet posts. "I dared not take up the post of the deputy minister. People in Sabah are not happy with the allocation,'' he said, adding that Barisan should be fair in allocating the number of ministers from each state. Throughout the speech, Ghapur highlighted the discrimination between the peninsula and Sabah right from the allocation to infrastructure, education to tourism and others. "Where is keadilan (justice) here,'' he asked, to which many Keadilan MPs waved at him and said "we are here." When Ghapur finished his speech, it was lunch break and he was surrounded by Opposition MPs who wanted to shake his hand.